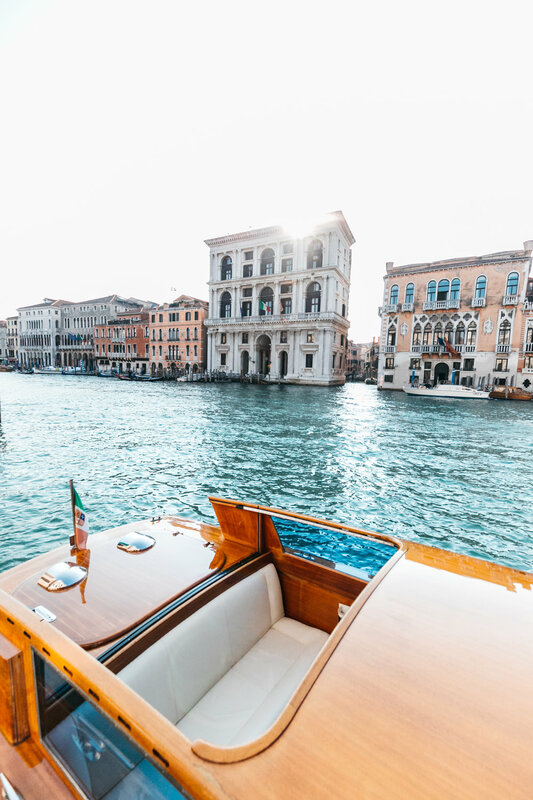 Aman Venice’s home on the Grand Canal is the 16th-century Palazzo Papadopoli, one of the city’s most significant buildings. 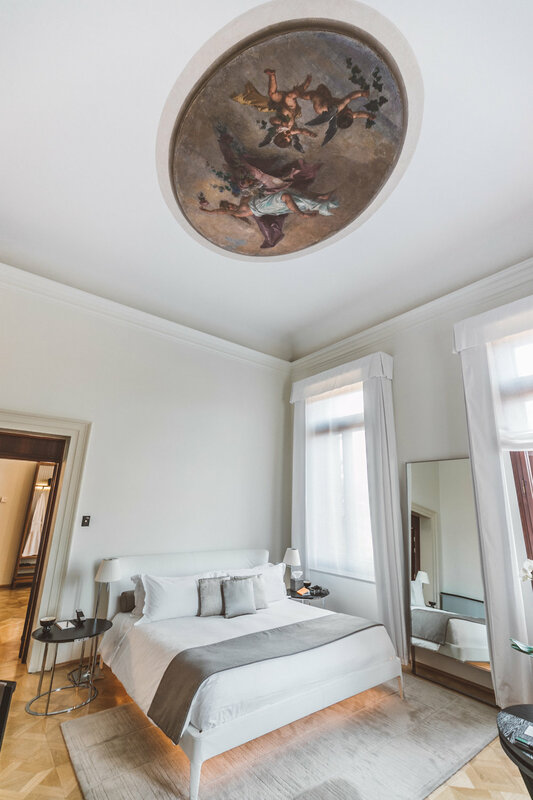 The great 18th-century painter Tiepolo once lived here, and his frescoes adorn the walls of many of the rooms. 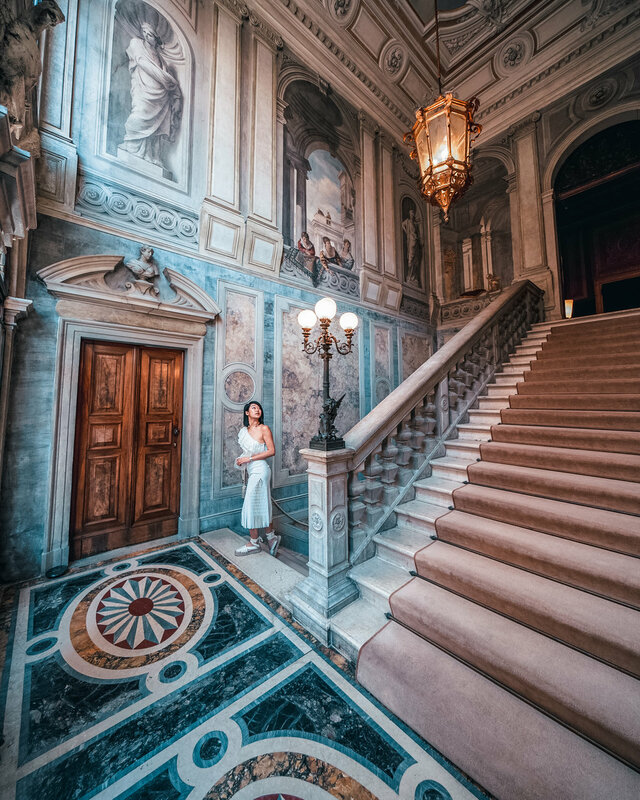 In the 19th century, the presiding Papadopoli family turned adjoining buildings into two gardens that, today, are among the city’s rarest private green spaces. 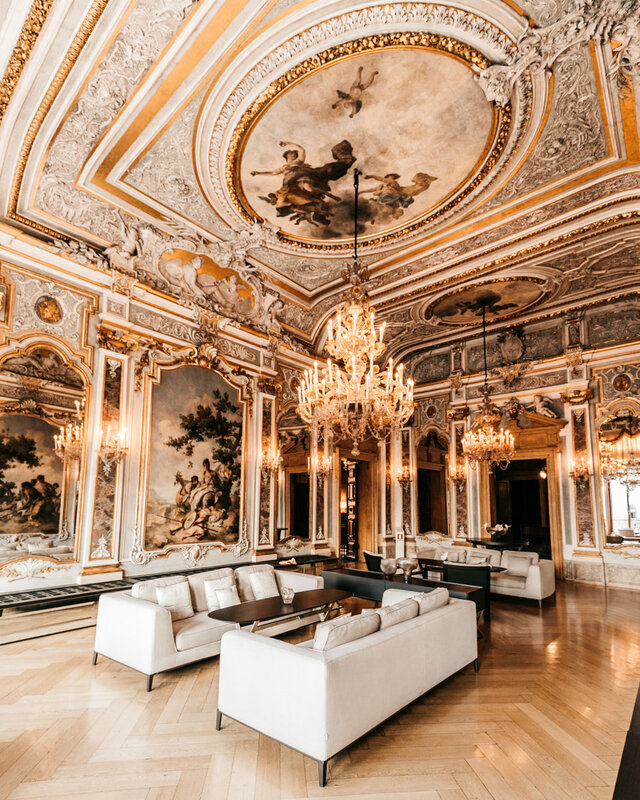 When Aman Venice was renovated in 2014, its sensitive incorporation of contemporary comforts won the palazzo a heritage award for Italy’s best restoration. 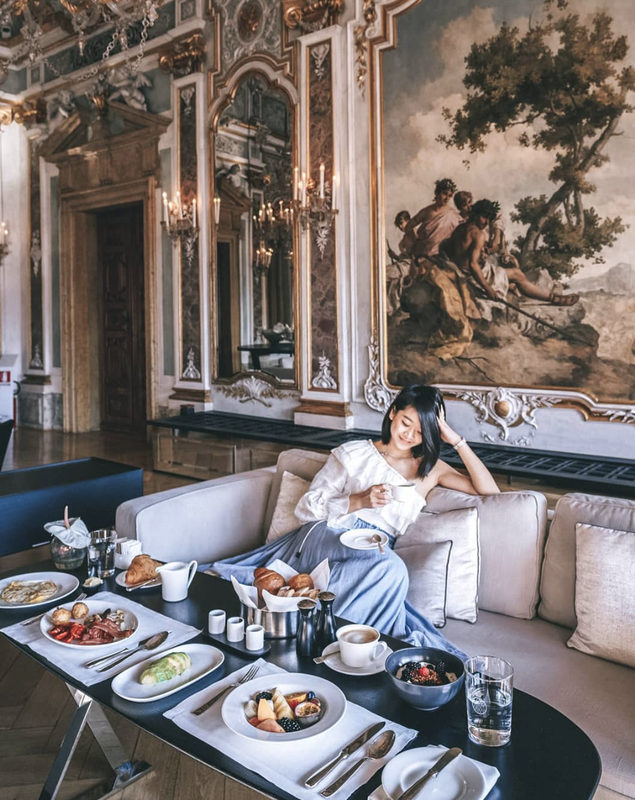 I was lucky enough to stay at Aman Venice for two nights and loved the feel of living in a private home. I loved the beautiful breakfast views which looked out onto the Grand Canal and will surely miss this place which I grew incredibly fond of in just a few short days. Each of Aman Venice’s 24 rooms and suites is individually decorated and includes a kingsize bed and sitting area. The historically important interiors have been sensitively furnished by Jean-Michel Gathy.